Edith6 and I are here again after five gritting hot days in Denver7. The nights are cool here and the days are hot for only a few hours. We can get excellent horses. Edith is a showy rider, and I can at least manage to get about on a horse and don't much mind a rough trail. DENVERwell pleased with myself, my dear boy, as you sometimes seem to think. Only in my business one has to advertise a little or drop out—I surely do not advertise or talk about myself as much as most people who write for a living—or one has to drop out. I can't see how it would help any of my family any if I lay down on my oars and quit that rough-and-tumble game. It would be easy enough to do that. I've had a very hard winter and have got no work done except two short stories16—one very poor17. Judge McClung's18 death and Isabelle's19 marriage have made a tremendous difference in my life. The loss of a home like that leaves one pretty lonely and miserable. I can fight it out, but I've not as much heart for anything as I had a year ago. I suppose the test of one's decency is how much of a fight one can put up after one has stopped caring, and after one has found out that one can never please the people they wanted to please. I suppose it's playing the game after that, that counts. DENVERyou than with almost anybody, when you are not grouchy. And why when you are grouchy, after this, I'll simply flit. I won't sit around and weep. I can't be hurt again as badly as I was last summer. After this I'll be more philosophical; I won't expect too much, from and I mean to enjoy any goodwill or friendship I get from any of my family. I enjoy every single member of my family when they are half-way friendly toward me. I enjoy them a great deal more now than I did in my younger days when I kept trying to make everybody over. My first impulse, of course, is to think that my own way of seeing things is the right way. But my second thought is always to admit that this is wrong and that I have been often mistaken. I even think I've grown a good deal milder in the last year—I've had trouble enough and losses enough. Three friends died20 during the winter whom it seemed to me I could not get on without. And perhaps the disapproval I got at home last summer has been good for me. I am quite a meek proposition now, I can tell you. I think I've had my belting, and it has taken the fizz out of me all right—and I'll tell you this, it's positively shipwreck for work. I doubt whether I'll ever write anything worth while again. To write well you have to be all wrapped up in your game and think it awfully worth while. I only hope I'm not so spiritless I won't got be able to make a living. I had two stories21 turned down this winter22 because they had no "pep" in them. The editors said they hadn't and I knew they hadn't. Be sure to meet me somewhere if you can. I think you'll find me easier to get on with. Time is good for violent people. Document is three leaves, handwritten on recto and verso of each leaf. Includes one handwritten envelope. 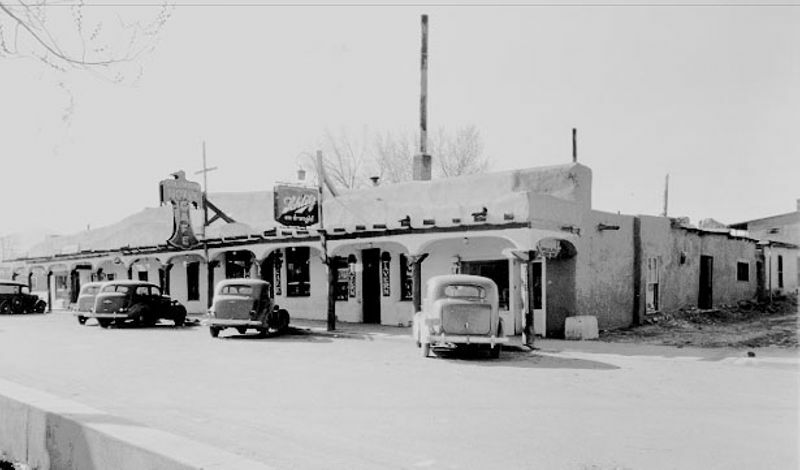 Columbian Hotel (Taos, NM): Built in 1880 in Taos, NM, the Columbian Hotel emerged as a center for art and artists in the early twentieth-century. 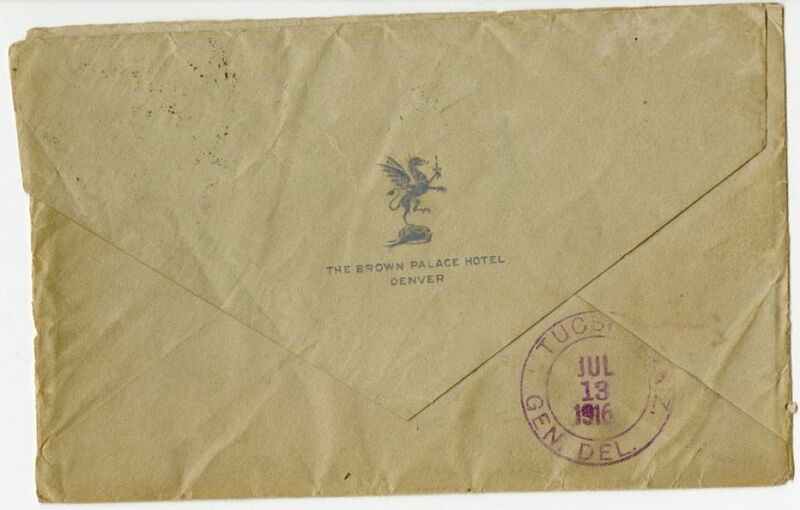 The hotel was owned by Maclovia Mares Pooler when Cather and Edith Lewis stayed there in July, 1916. Brown Palace Hotel (Denver, CO): Luxury hotel in downtown Denver, CO, that opened in 1892 under the ownership of Henry C. Brown. 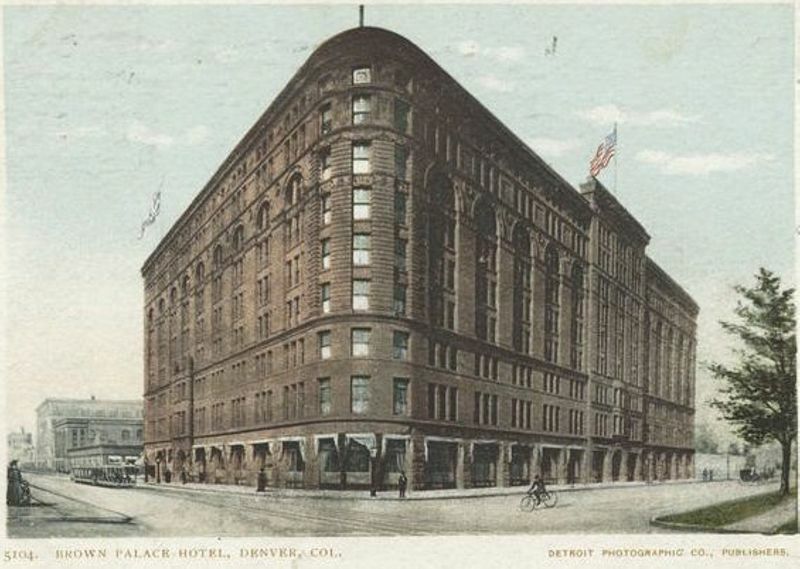 Cather stayed at the Brown Palace Hotel multiple times while in Denver, and writes about it in The Song of the Lark (1915) and A Lost Lady (1923). Cather's brother Roscoe Cather and his family lived in Lander, Wyoming. 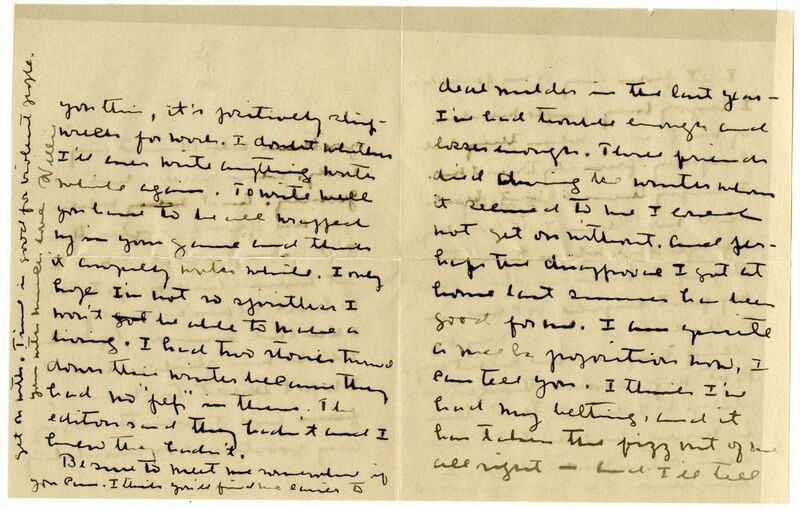 According to letter #2073, the story Cather considered poor was "The Bookkeeper's Wife." Judge Samuel A. McClung, Isabelle McClung Hambourg's father, died on November 12, 1915. If there are other friends who died in the winter of 1915-1916, they have not been identified. Both "The Diamond Mine" and "Scandal" were rejected multiple times before they were placed in magazines. Cather, Charles Douglas (1880-1938) (“Douglass”). Cather’s brother. Born in Virginia and raised in Red Cloud, NE, Charles was third child and second son of Charles and Virginia Cather. As an adolescent, Douglass Cather helped his father supervise rented farm properties and worked as a messenger for the local Burlington & Missouri Railroad office. In 1897 he left Red Cloud for a position in Sterling, CO, and then took a position with at the Cheyenne, WY, office of the Burlington Railroad. 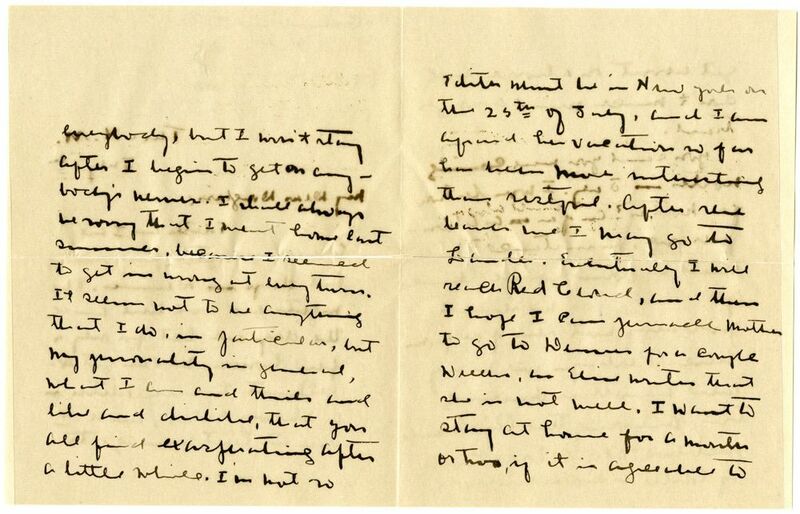 In 1908 he traveled to Mexico, an experience that his sister gave to Emil Bergson in O Pioneers! (1913). 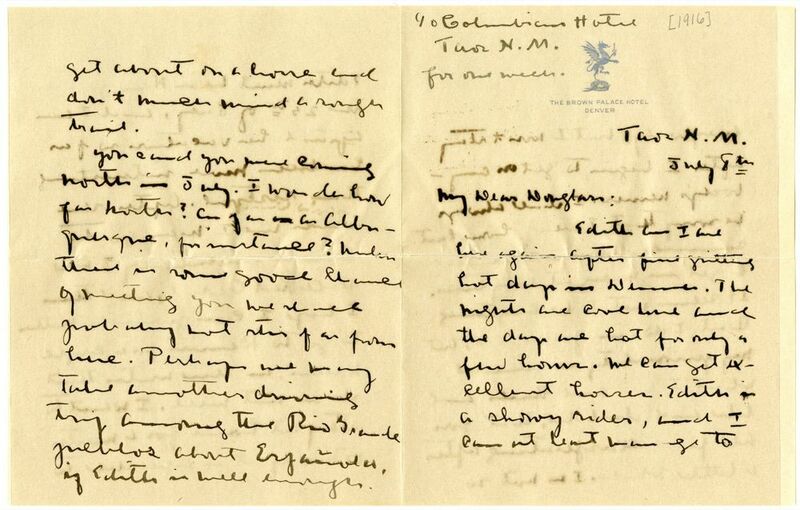 By 1910 he was living in Winslow, AZ, still working for the Burlington, where Willa Cather visited him in 1912. He later achieved success in the oil business in California. Although he never married, Cather notes that during the last six or seven years of his life he had a relationship with Dorothy Rogers. Douglass visited Cather in New York City in December of 1937. His death in June 1938 left her devastated. Douglass served as a prototype for one of the twin brothers in the Templeton family in “Old Mrs. Harris” (1932) and Hector the messenger boy brother in “The Best Years” (1948). 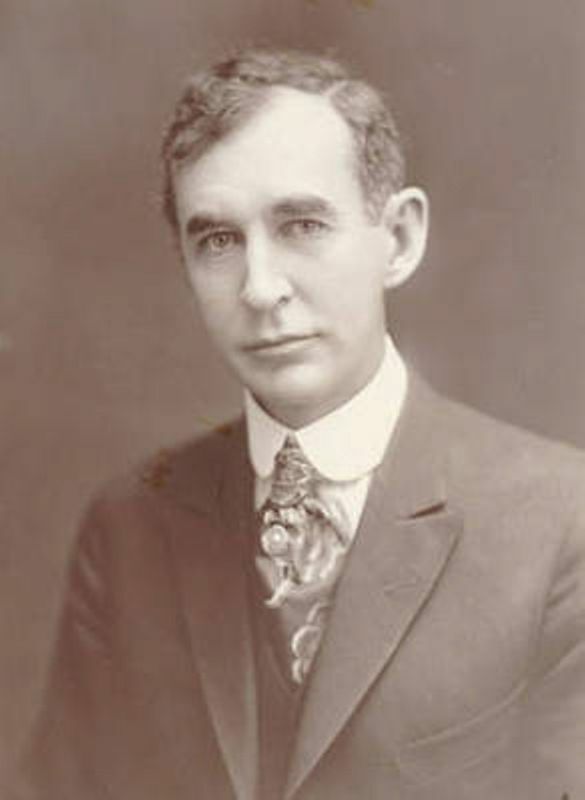 His years working for the Burlington also inspired Cather’s many railroad worker characters in her novels, including Song of the Lark (1915) and The Professor’s House (1925). 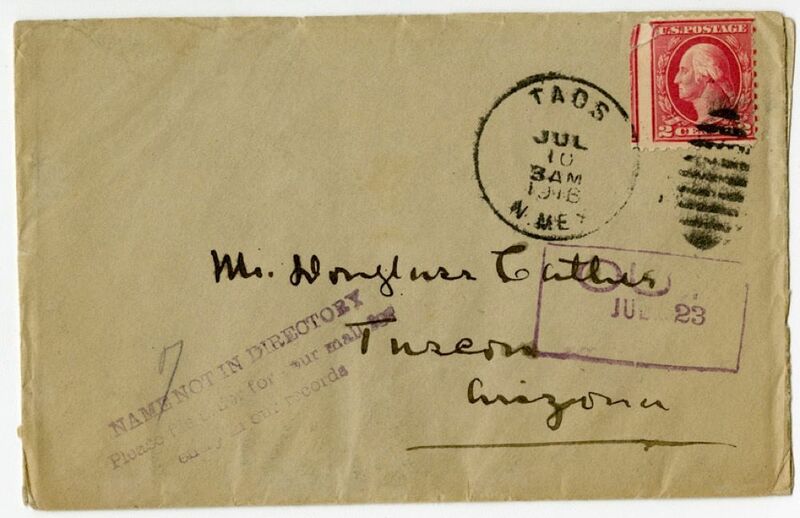 Few letters from this important sibling relationship have survived. Lewis, Edith Labaree (1881-1972). Magazine editor, advertising copywriter, and Cather's domestic partner. 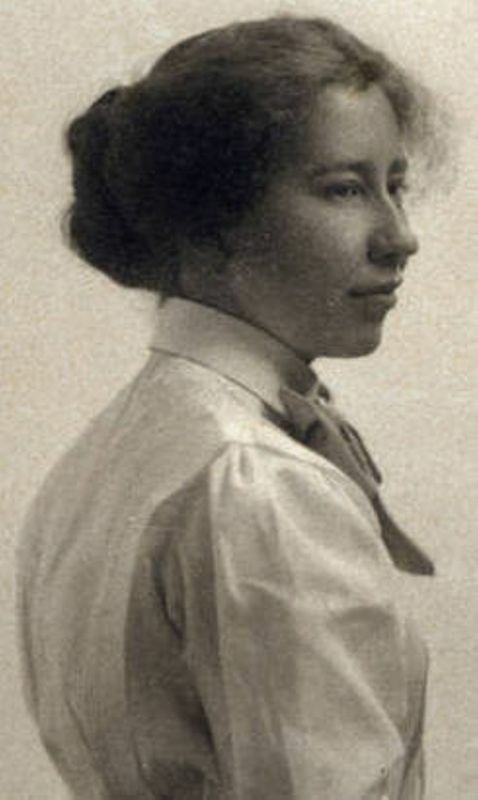 Born in Lincoln, NE, to Henry Euclid Lewis and Lillie Gould Lewis, Edith Lewis attended the preparatory school associated with the University of Nebraska, earning college credits from the University before transferring to Smith College in Northampton, MA, in 1899. She received an A.B. in English from Smith in 1902 and returned home to teach elementary school. She met Willa Cather in the summer of 1903 at the home of Sarah Harris, publisher of the Lincoln Courier. Moving to New York City soon afterward, Lewis settled into a studio on Washington Square and found work at the Century Publishing Company. Cather was her guest when she visited the city from Pittsburgh. In 1906, at Cather's suggestion, Lewis applied for a position as an editorial proofreader at McClure's Magazine, and the two women worked together on the McClure's staff for six years. In 1908, they moved into a shared apartment at 82 Washington Place, and then, in 1912, to Five Bank Street. Lewis left McClure's in 1915 to become managing editor of Every Week Magazine, where she stayed until the magazine folded in 1918. In 1919 she began a long career as an advertising copywriter at the J. Walter Thompson Co. In 1926 Edith Lewis acquired the land on which she and Cather built their cottage on Grand Manan Island. When they lost their apartment on Bank Street to subway construction in 1927, they shared quarters at the Grosvenor Hotel when they were both in New York City. In 1932 they took an apartment at 570 Park Avenue. Throughout their relationship, Lewis was closely involved in Cather's creative process, reading and editing her work in pre-publication forms. Cather's will appointed Lewis as executor of her literary estate and a beneficiary of her literary trust. Lewis authorized E.K. Brown as Cather's first biographer and published her own memoir of Cather, Willa Cather Living (1953). She remained in their Park Avenue apartment after Cather's death and died there after a long period of illness and invalidism. She is buried at Cather's side in Jaffrey, NH. Cather, Mary Virginia Boak (1850-1931) (“Virginia” or “Jenny”). Cather’s mother. Born in the Virginia to William Lee Boak and Rachel Seibert Boak, Virginia was educated in Baltimore, MD, and was a schoolteacher until her marriage to Charles Fectigue Cather in 1872. Her husband’s family were primarily Union supporters during the Civil War while her family supported the Confederacy (three brothers served in the Confederate Army although their mother opposed slavery). After her marriage she tried to help unite the divided family. 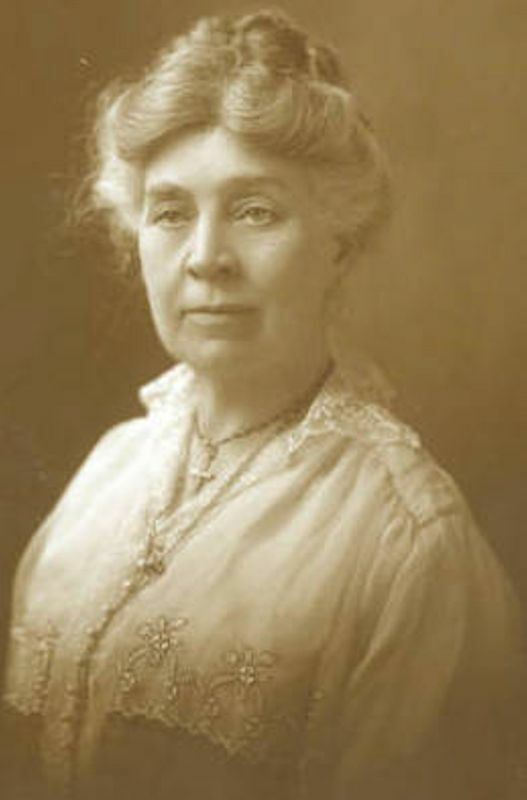 Four of her children, Willa, Roscoe, Charles Douglas, and Jessica Virginia, were born in Virginia, while three, Jessica Virginia, James Donald, Elsie Margaret, and John Esten, were born in Nebraska after the family moved there in 1883. Despite occasional differences, Cather remained in affectionate contact with her mother, who remained in Red Cloud, NE, where the family settled in 1884. After her husband’s death in 1928 Virginia Cather suffered a stroke while visiting her children and their families in California. She spent nearly three years in a sanitarium in Pasadena, CA, unable to speak. Willa Cather visited her there several times but was unable to travel quickly enough from Grand Manan to Red Cloud for her funeral and interment after she died in Pasadena in 1931. Virginia Cather was the prototype for Victoria Templeton in “Old Mrs. Harris” (1932), which Willa Cather completed shortly before her mother’s death. McClung, Samuel A. (1845-1915) American jurist, Isabelle McClung’s father. Born in Alleghany County, PA, to a Presbyterian minister and his wife, Samuel McClung graduated from Washington College in 1863 and in 1868 was admitted to the bar and moved to Pittsburgh, PA. He was appointed Judge of the Court of Common Pleas in 1872 and was known for his conservatism. He married Fannie Merritt in 1874 and they had three children, Isabelle, Samuel Jr., and Edith. 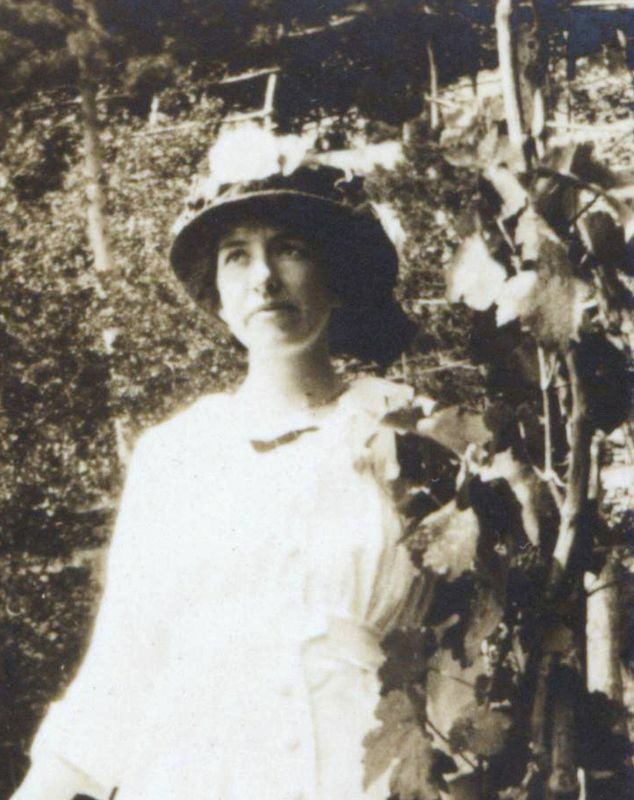 In 1901 Isabelle McClung invited Willa Cather to reside in the McClung family home in the Squirrel Hill neighborhood of Pittsburgh, and she lived there until her 1906 move to New York City. Cather often returned there to write until Judge McClung’s death caused the sale of family home in 1916. Hambourg, Isabelle McClung (1877-1938). Cather’s longtime friend. 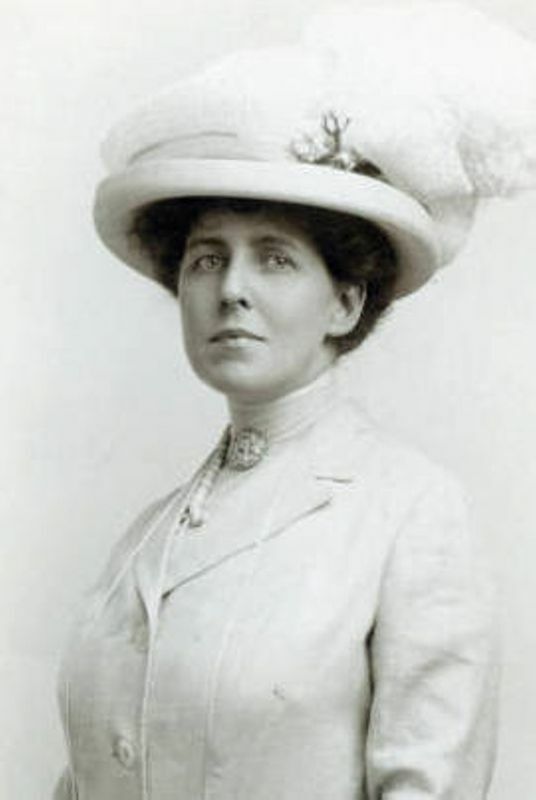 Cather met Isabelle McClung, the daughter of a socially prominent, Pittsburgh (PA) family, in 1899 in the dressing room of actress Lizzie Hudson Collier. 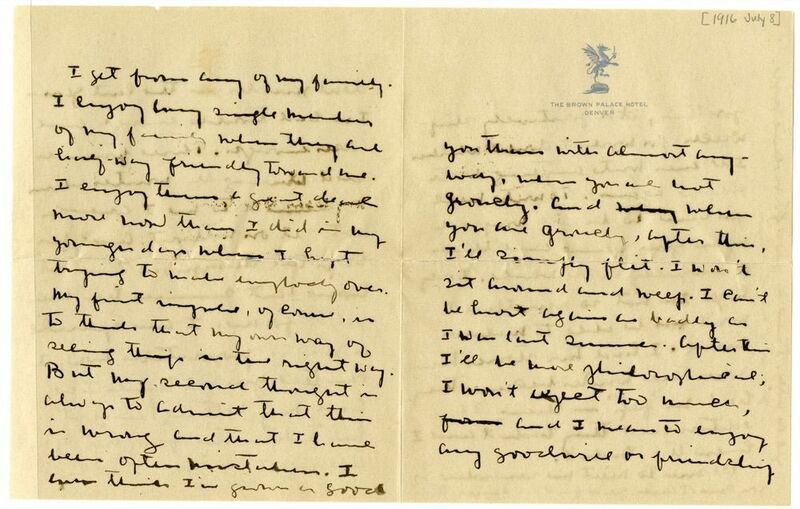 McClung seems to have been the first woman to reciprocate Cather’s romantic affections. In 1901, McClung invited Cather to live in her family’s large home in the Squirrel Hill neighborhood of Pittsburgh. She and Cather traveled together to Europe in 1902, and McClung accompanied Cather on a visit home to Nebraska in 1905. After Cather moved to New York City in 1906, she frequently visited McClung in Pittsburgh, finding the familiar house a congenial place to write, and McClung visited New York City, staying with Cather and Edith Lewis. Cather and McClung also rented a vacation cabin in Cherry Valley, NY, in 1911, and traveled together to Virginia in 1913. In late 1915, shortly after the death of her father, Judge Samuel McClung, Isabelle announced her intention to marry violinist Jan Hambourg. 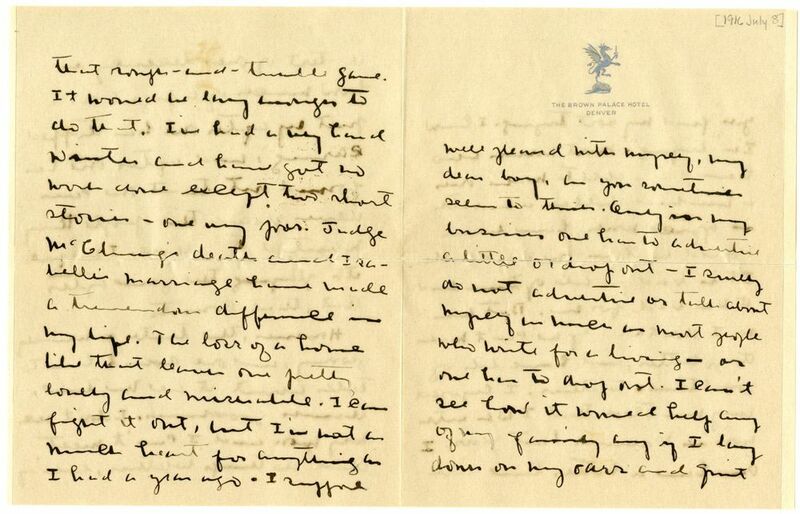 Cather reacted negatively to the marriage (which took place in 1916) but eventually reconciled herself to it, enjoying long visits with the Hambourgs in Toronto, Ontario, in 1921 and France in 1923 and 1935. Isabelle’s death in Italy from kidney disease, which came only four months after Cather’s brother Douglass died, left her feeling bereft. “No other living person cared as much about my work, through thirty-eight years,” she wrote her brother Roscoe (#2137). 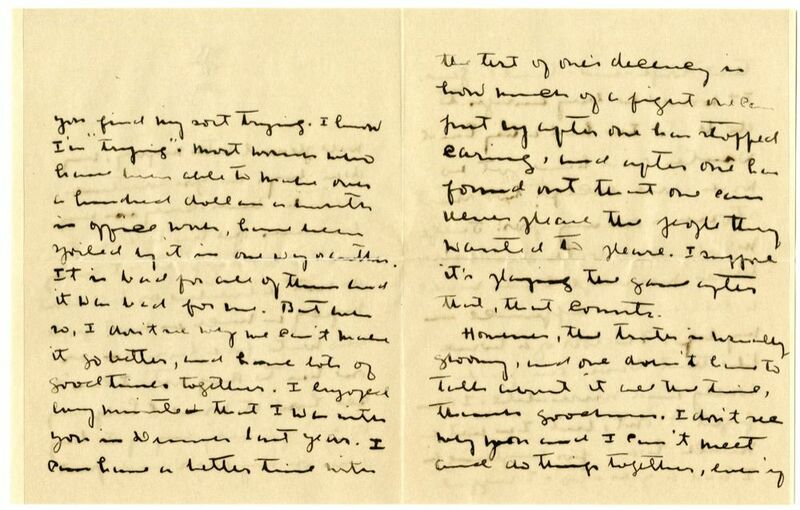 After Isabelle’s death, Jan sent to Cather the three hundred letters from Cather to Isabelle in his possession, and Cather destroyed them.